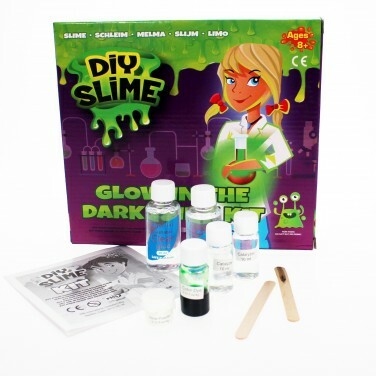 Bring science to life and mix up the ingredients in this DIY slime kit to make your very own glow in the dark slime! 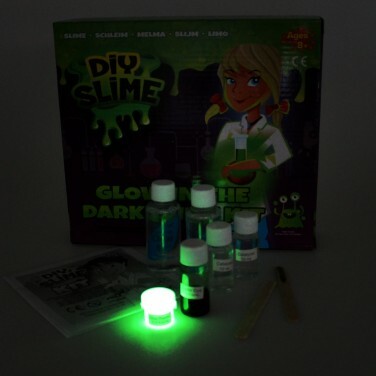 Make oodles of gloopy slime that glows in the dark with this DIY glow in the dark slime set! 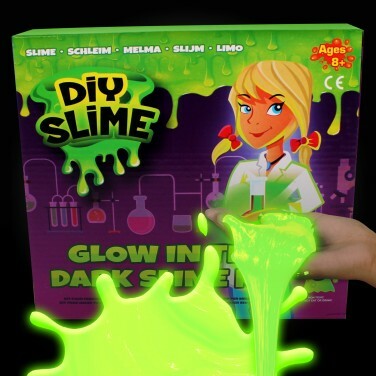 Follow the instructions to create oozing slime, mix with the glow pigment included and see your slime glow brightly in the dark. Be sure to expose your glow slime to light before viewing in pitch black conditions for gloriously gooey glowing effects!